Ahhhh... the memories. I was probably one of the very few people who thoroughly enjoyed the movie "Biggles - Adventures in Time", and this was the main theme tune from it. I remember it being one of the very first films which I watched on a channel called "Premiere" probably in 1987/88... This was back in the day when most households only had 4 channels to choose from. We were fortunate enough to have Sky quite early on, and Premiere was the only movie channel on offer before Sky did their own. I watched this movie over and over again. Not sure why though as when I look back at it, the film isn't particularly special. It's just a good ol' time travelling romp - Where else could you see a modern Metropoliton Police helicoptor fight in World War 1? I believe it was also Peter Cushing's last acting role before passing away a few years later. Anyway, the song is sung by Jon Anderson (the lead vocalist from Yes). Enjoy, and try and watch the film if you've never seen it before. It's not THAT bad. "Five Miles Out" introduced me to the music of Mike Oldfield long before I first listened to his famous Tubular Bells for the first time, and the one track which stands out for me is the very first one from the album, "Taurus II". As with most of Mike's earlier work (Tubular Bells, Incantations, Ommadawn etc. ), this track is one long, continous track (24 minutes) made up of several different melodies and styles. If you've never heard it before, give it a go... Modern chart musicians can only dream of producing music of this quality. 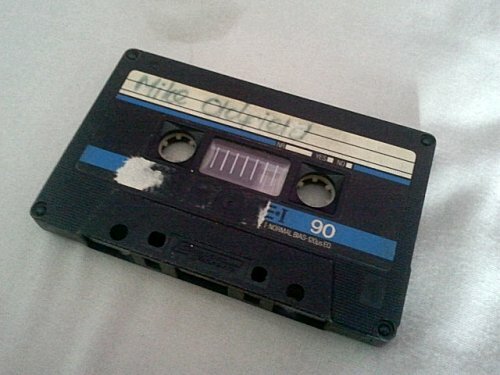 As a big fan of Mike Oldfield, I still find this one of his best albums ever. Today is a very notable day. 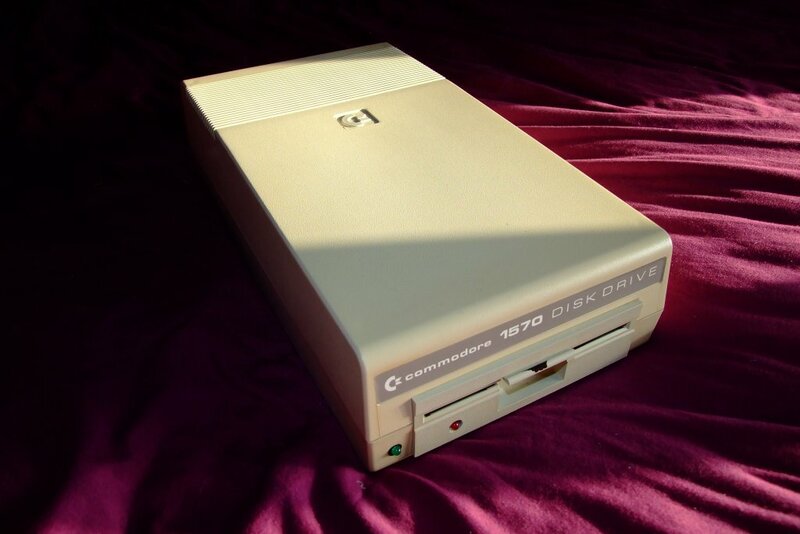 100 years ago on this day, the Titanic sank... 10 years ago, I ditched my essex life in favour of a new life in Evesham with Michelle, and today I have just obtained my 5th working Commodore 64 computer, with much thanks to my Father-in-Law for kindly giving it to us. 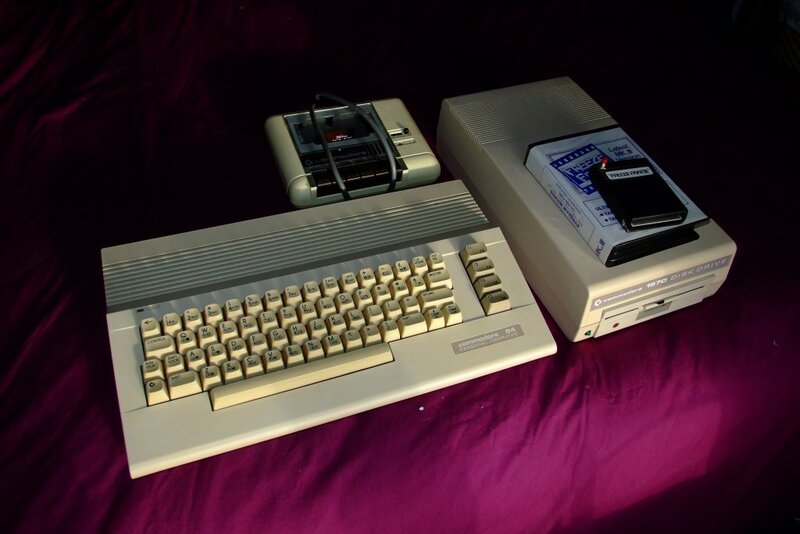 It's another Commodore 64C, but what makes this extra special is that it is in immaculate condition (the mainboard and case - although I did have to replace the keyboard with a spare one because it didn't work), and it also comes with a Commodore 1570 disk drive (which will complement my two 1541-II drives quite nicely), and an Evesham Micro's Freeze Frame cartridge - hey, I do live in Evesham - it's a bit of the town's computing history! Until then however, Michelle will just have to put up with my hoarding, and taking over the house!!!!!!!!! A random topic today - my love for classic polygon games! I love playing computer games - I always have, and no doubt I always will. However, although I enjoy my PS3, I must admit to spending more time playing classic games via emulation, and surprisingly it's not the usual side-way shoot-em-ups (shmups) and platform games which 'do it' for me like many other retro gaming aficionados. I've always been fascinated with virtual worlds, and vector graphics - the ability to explore computer generated environments from any angle, as if I was actually there. 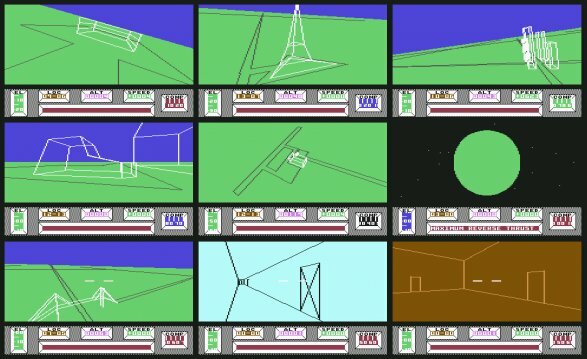 My first experience of exploring 'another world' within a computer was a classic game called "Mercenary", first on my friend's Atari 800XL, and then on my Commodore 64, way back in 1985. Besides the famous game Elite (which limited the game player to only travelling in space), this was the first time I could actually explore an open world, flying over the surface of the planet Targ, and being able to explore the underground complex in an attempt to find a way to escape the planet. Remember, this was on an 8 bit computer with 64kb of RAM. Ok, the graphics were basic, and everything was rendered in wireframe vector graphics, but this added to the atmosphere of the game. I really felt as though I was actually on another planet - I had never felt this way about a computer game before. In the late 80's and early 90's, everyone was talking about Virtual Reality. Movies like The Lawnmower Man helped populize this and allowed a wider number of people to become aware of what computers could potentially do - generate artificial environments. Solid vector graphics were the next thing, and one software house in particular called "Incentive Software" specialised in developing some fantastic 3D adventure games using their proprietary game engine "Freescape". 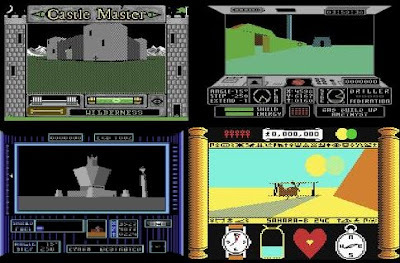 Driller, Darkside, Total Eclipse, Total Eclipse 2, Castle Master and Castle Master 2 amazed me, and fellow 8 bit computer owners with solid 3D graphics. I remember the tagline for Dark Side - "The closest to actually being there". Of course, vector graphics (whether wireframe or solid) were extremely processor intensive. For example, the Commodore 64 (with a processor running at 1mhz) could only cope with about 1 frame a second. The Spectrum was only slightly faster. It was the 16 bit computers such as the Commodore Amiga, and Atari ST which really showed what could be done with solid 3D graphics. 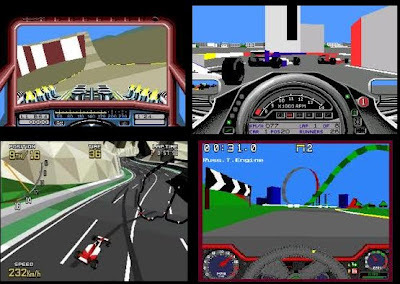 All of the Incentive Freescape games were available on the 16 bit computers, and the extra processing power enabled much faster game play and more detailed 3D environments to explore. I had all of these games, and the excitement of getting home from school and attempting to get further in these games is something that I have not experienced in over 20 years. Most games I play on the PS3 today enable me to explore vast 3D environments, but I just don't get that 'feeling' of excitement when I open a door to a brand new room, or find a key to unlock a new area like I once did. When Incentive announced the 3D Construction Kit - well.... that was like a dream come true for me. The ability to actually create my own virtual worlds on my home computer - WOW! This game was amazing - The graphics may look crude today, but unlike other arcade racers of the time (Outrun, Chase HQ etc), this was probably the closest a kid like me could get to actually driving a car. Of course, I HAD to get this game on my Commodore Amiga (the less said about the Commodore 64 version, the better!). 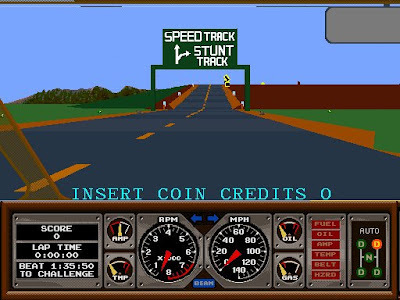 A sequel was also released on most major computers, simply called Hard Drivin' 2. It was pretty much the same as the first game, but with one added bonus - a course designer. I have countless disks stored away with tons of tracks designed by myself. Stunt Car Racer (C64 and Amiga), Geoff Crammond's Formula One Grand Prix (Amiga), Virtua Racing (Sega Megadrive), Stunt Racer 2000 (Acorn Archimedes) were other similar games which I enjoyed playing, and even to this day I still play them regularly. I also love the flight simulators available for the Amiga in the late 80's and early 90's. F/A 18 Interceptor, Falcon, Fighter Bomber to name just a few. Towards 1994 onwards (thanks to games such as Doom), 3D games moved to the next step - textured polygons. Software developers were able to 'paste' textures on vectors, making games much more realistic to look at, but to me, the golden age of Virtual Reality was coming to an end. And there you have it. Sorry if I've bored you. I just felt like writing about my love of these great games, and I strongly recommend all of these games to anyone with an open mind and who are even just a tiny bit curious. Remember, graphics are not the most important thing in a game, and as far as I'm concerned, todays young gamers have missed out on these truely great adventures. Every now and then, I get an urge to do something with this blog. The intention is to write about my life, my hobbies and interests, my family, my work, and every time I plan to write something, I end up not bothering. 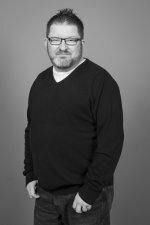 A friend of mine (Dan) over at 0ddness.co.uk has just redesigned his blog (and very good it is too), and it has given me a little inspiration to do something with this blog. Soooooo, I too have decided to redesign it. Ok, it's not much different from the old design, but I've fixed a few little bugs which were present in the old design. The question is, now that I have a fresh new design, can I maintain it with fresh, new content? The latest addition to my Commodore collection. 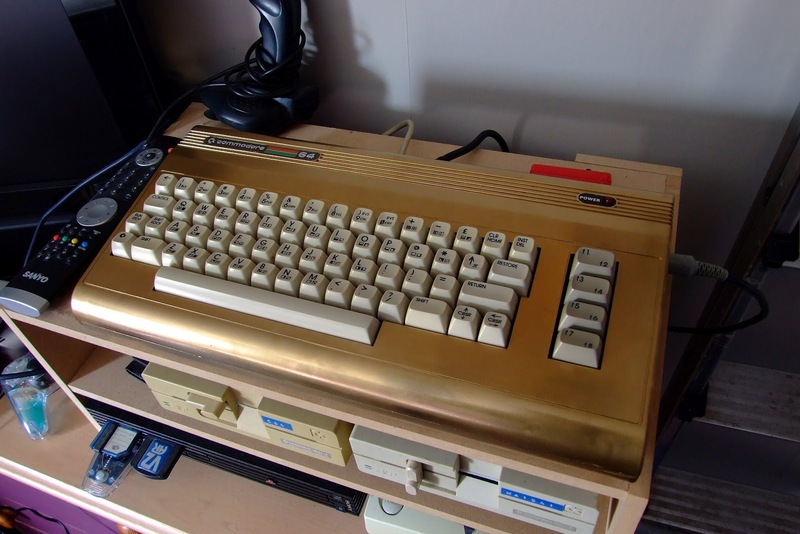 NO, it isn't one of the VERY rare golden Commodore 64's, although I have given it a new coat of gold paint to make it look like one! This C64 was in bad shape - the case was badly marked, and the computer would not even power up. The original owner was going to throw it in the bin, but I was lucky to grab it before that happened, along with a good working C64C. Thanks to a spare C64C motherboard which I had lying around, a C64C keyboard and SID 8580 chip, I've been able to bring life back to this wonderful machine. It now works perfectly and looks quite snazzy too. I have no intention to pass this off as a golden C64 - for a start, it's pretty obvious it isn't a real one (if you know what you are looking for), but it does look nice, especially next to my black painted C64C. Songs that remind me of my childhood are not just limited to popular music which was available and eligible for the charts. One song in particular which always conjures up memories from when I was little is from a classic computer game called Action Biker. I was first introduced to this game back in late 1985. My friend, Steve Ready had it on his Atari 800XL, and the theme song got stuck in my head ever since. At the time, our family only had a Commodore Plus 4 and I was extremely jealous because Action Biker was not available for that machine. 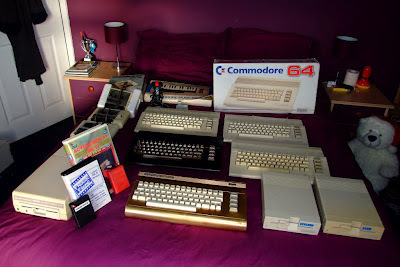 A few years later I managed to get it when I was lucky enough to get a Commodore 64 for Christmas in 1987. Rob Hubbard wrote some of the most memorable songs on the Commodore 64, but this one will always stand out for me. I wrote a remix of it a few years ago, along with a short video of me playing, and finishing the game (see the video below), although the original will always be the best! A great game, a great song, and some fantastic memories - not bad for £1.99!